To prepare for their stay in Geneva, students are advised to begin visa formalities, if applicable, immediately after their place on the course is confirmed. Students who are nationals of countries outside the European Union or the European Free Trade Association need a visa to enter Switzerland and stay for more than 3 months. You will need to consult your nearest Swiss embassy for details about the procedure and required documents. Upon arrival in Geneva, all students are required to apply for a student residence permit (Permis B) from the Office Cantonal de la Population (OCP) within 14 days of their arrival in Switzerland. In July, when classes are over, students can extend their residence permit for up to six months (i.e. until December) to undertake an internship or temporary assignment in a Geneva-based organization and/or look for a job in Geneva or Switzerland. Our Student Office provides students with all the necessary information regarding application procedures for visas and residence permits. We are a leading education and research institution in international humanitarian law, human rights and transitional justice. Our three master's programmes provide a solid foundation for careers in the humanitarian and human rights fields. 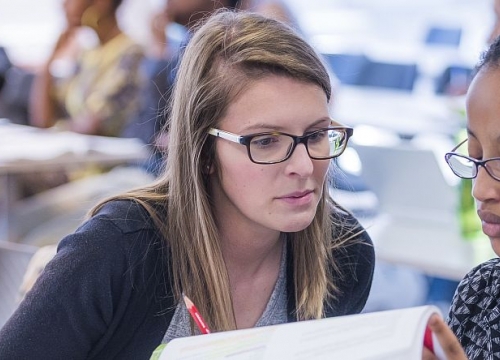 We attract some of the most experienced and academically qualified students from around the world who are taught by leading academics and practitioners in the field.  The Geneva Academy campus spans from Geneva’s international area – where most international organizations are located – to downtown Geneva with its cafes, restaurants and vibrant cultural life. Studying at the Geneva Academy was one of the greatest experiences I have ever had in my life. It allowed me to meet with colleagues from all around the world with whom I share common interests and values, and to study with those professors whose books everyone refers to. It enabled me to acquire tools to address professional challenges.